A very unique wedding cake. We have made quite a few of these and they are always a great focal point for the wedding. The swing floral arch creates an amazing wedding cake display. It is huge and is easily the focal point of the wedding. 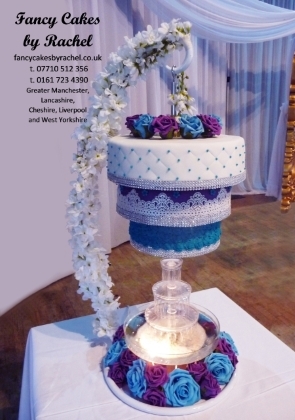 Dessert and cakes tables offer your guests a selection of sweet treats and creates a focal point for the cake. 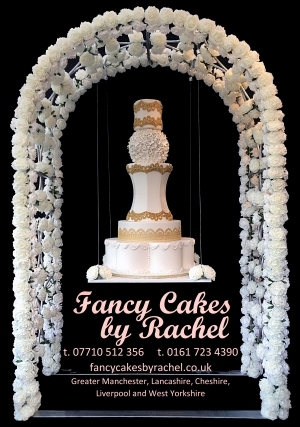 A floral arch with a swing to display the wedding cake. 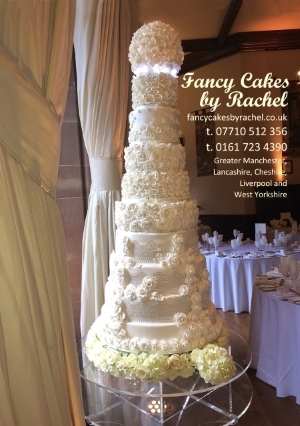 The chandelier wedding cakes are increasingly popular. 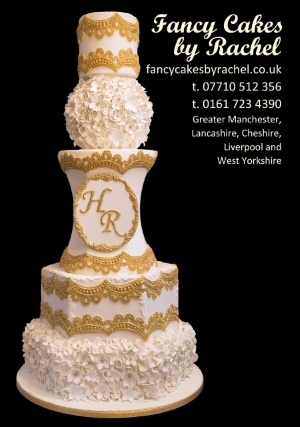 We have people coming from quite far a field for these cakes as we are the only supplier in the North West. We now supply chair covers and sashes.